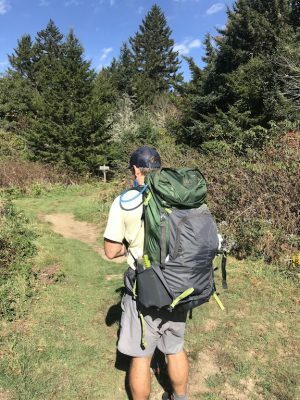 I was able to take the Revol 65 on a multi-day backpacking trip into the Shining Rock Wilderness in Pisgah National Forest in Western NC. I was very impressed with how the pack performed, especially a few of the features. Click here to read my initial update on the Revol 65 backpack by Kelty. 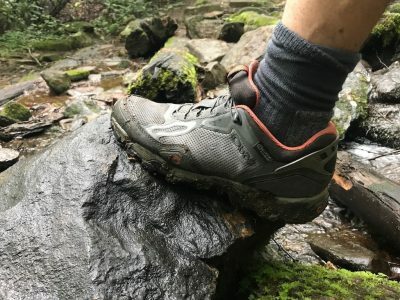 A 24 mile hike in the Nantahala Wilderness at the headwaters of the Nantahala River in the Blue Ridge Mountains provided the “perfect” final test for the Oboz Crest Low BDry hiking shoes. After three days on soggy, water logged trails. 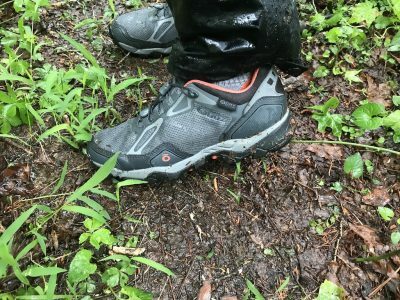 I wouldn’t call the conditions perfect for backpacking, but for testing a pair of waterproof shoes made for through hikes, it couldn’t have been any better. Click here and scroll to the bottom to read my final update from this trip and draw some conclusions about the shoes. A soggy hike in the Crest Low BDry shoes. I’ve had the Crest Low BDry shoes for about a month now. They’ve been through about 50 miles so far and have been tested in soggy, wet conditions and even some technical terrain. See the rest of my update here. 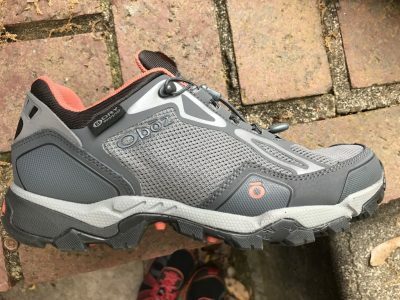 The Oboz Crest Low Shoe is a waterproof, low-top hiking shoe. Designed for long miles on the trail, the shoe could be described as hybrid between a hiking boot and trail running shoe. Click here to see my initial review of the Crest Low Shoe.